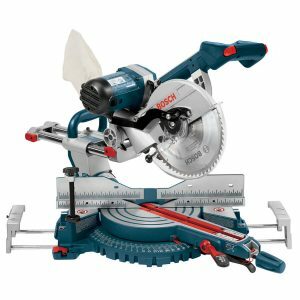 Bosch Miter Saw Review & Comparison – Which Bosch Saw is Best For You? Bosch has been making power tools for over 90 years. During that time Bosch has gained an international reputation as an industry leading manufacturer of power tools. 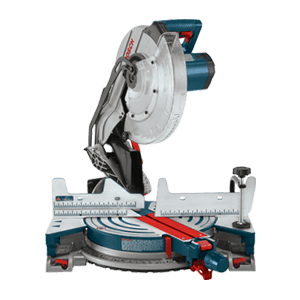 You can explore the full Bosch line of miter saws below. The Bosch GCM12SD is one of the best power tools Bosch has to offer. Not only is it one of the best Bosch tools, it’s one of the highest rated 12″ sliding dual bevel compound miter saws on the market. If you’re in need of a powerful, versatile, and surprisingly compact miter saw, this saw is worth a look. There isn’t much that this saw doesn’t offer, and so much that it does. Please note that the Bosch GCM12SD-RT is simply the refurbished version of the Bosch GCM12SD miter saw. The GCM12SD is one of Bosch’s best miter saw offerings, ever. 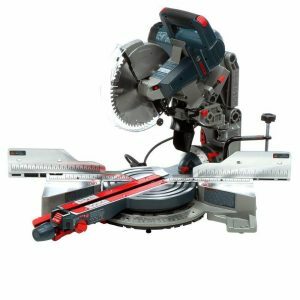 If you want a powerful, versatile, and surprisingly compact miter saw, this miter saw is worth a look. Especially if you are able to get a certified refurbished model for a significant discount. The Bosch CM12SD is a well-balanced middle ground for the Bosch miter saw line. 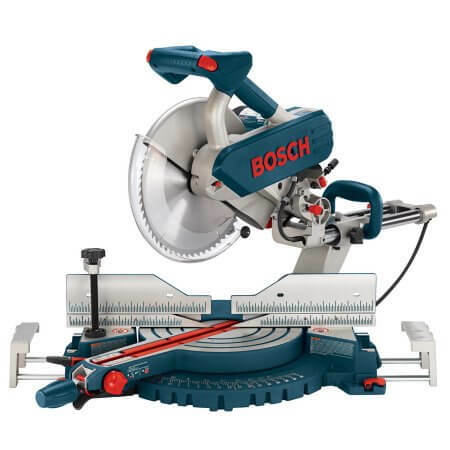 It’s perfect for woodworkers looking for a dual bevel version of Bosch’s celebrated CM12 miter saw. It may also appeal to craftsmen looking for the reliable accuracy of the newer GCM12SD miter saw, without the price-tag that comes with the upgraded bells and whistles. Please note that the Bosch CM12SD-RT is simply the refurbished version of the Bosch CM12SD miter saw. The Bosch CM12SD is a well-balanced middle ground for the Bosch miter saw line. It’s perfect for woodworkers looking for a dual bevel version of Bosch’s celebrated CM12 miter saw. It may also appeal to craftsmen looking for the reliable accuracy of the newer GCM12SD miter saw, without the price-tag that comes with the upgraded bells and whistles. The Bosch CM12 is powerful, accurate, and durable. It has less bells and whistles than some of the newer models, but often, the time and money saved on built-in lasers and other superfluous gimmicks translates into more focus on the important stuff. Bosch’s engineering on this saw results in a strong, precise miter saw that can handle just about anything. 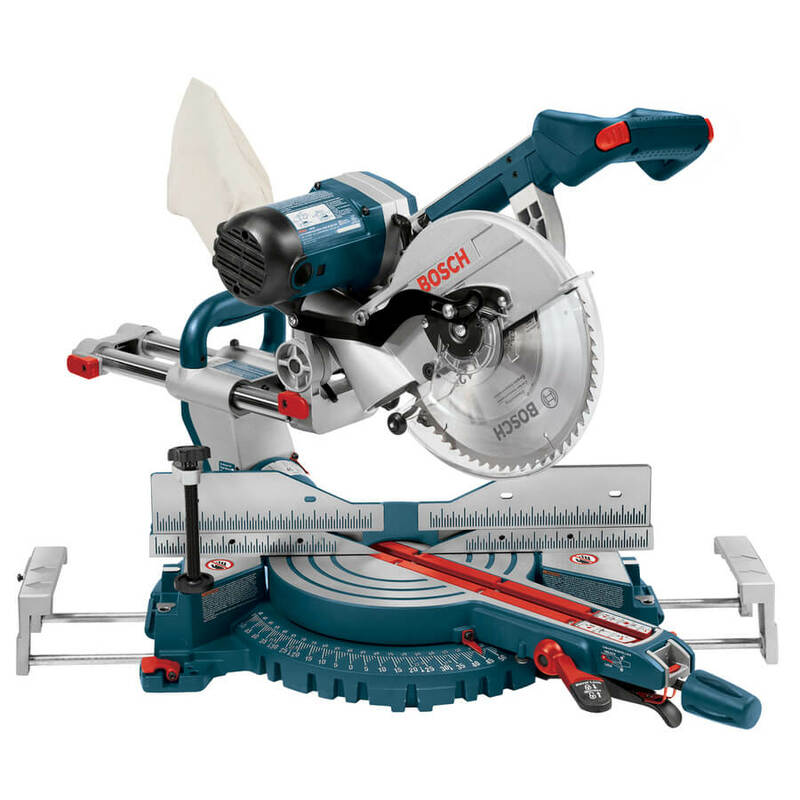 Like many Bosch products, this miter saw was designed for easy-to-execute accuracy. If you are looking for a miter saw that delivers precision and top performance for your projects, the Bosch 5312 is worth some consideration. With a mixture of tried and true mechanics as well as innovative new systems, Bosch has packed a lot of punch into this compact saw. If you’re looking for an accurate saw with cutting edge design from a reputable brand, this saw is worth considering. Just to be clear, the Bosch CM10GD-RT is merely the Certified Refurbished version of the Bosch CM10GD. If you’re looking for a precise and innovative miter saw from an industry leading brand, but don’t want to pay the full price tag—the CM10GD-RT is worth considering. 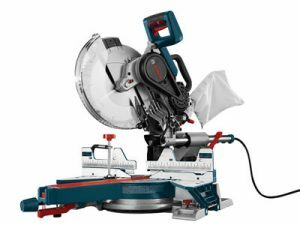 Several of the same features and specifications of the Bosch 4410 are included in the new 4310 ten-inch dual bevel sliding miter saw, and the new version builds on the success of its award-winning precursor. One of the great things about the 4310 is that it employs Bosch’s patented Up-Front Controls for greater comfort and control. It also gives users the adjustability they need to tackle almost any application, and it delivers plenty of power. With the CM8S, Bosch has constructed a relatively small and portable miter saw that can give many larger miter saws a run for their money. What this saw lacks in size, it makes up for with a powerful motor and exceptional usability. 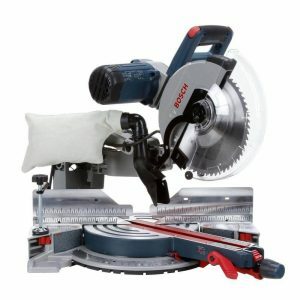 For woodworkers looking for a lightweight, high-performance miter saw from a reputable brand—this saw is worth considering. The Bosch GCM12SD (Miter Saw) + T4B (Stand) is one of the best power tool and accessory combos available. 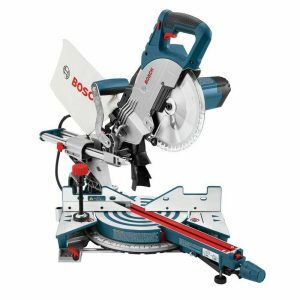 Not only is the GCM12SD one of the best Bosch power tools, it’s one of the highest rated 12″ sliding dual bevel compound miter saws on the market. Not to mention, the Bosch T4B Portable Gravity-Rise Wheeled Miter Saw Stand is one of the best reviewed products Bosch has, period. If you’ve looked through Bosch’s selection but still haven’t found the perfect miter saw for you, don’t worry! There are lots of miter saw options to choose from. You can compare and contrast all of the best saws on the market with our comparison chart, or see the full offerings of competing brands like DEWALT, Makita, Milwaukee, and more!